NIOSH (and with the help from some other groups) released a document this last week titled, “Best Practice Engineering Control Guidelines to Control Worker Exposure to Respirable Crystalline Silica during Asphalt Pavement Milling”. 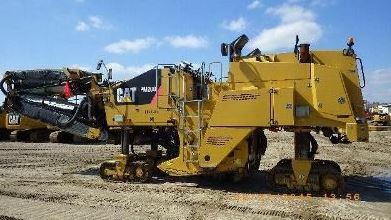 The issue: These machines are used to remove asphalt roads. They have a drum with teeth on them that essentially chew up the road and asphalt. A lot of respirable silica is generated (based upon the amount of silica in the rocks). The drums get really hot so water is used to cool it. However, it does not control the respirable silica dust. I’ve written (or, maybe complained) about the issue here, in 2010. And, I was informed, some good people were working on it. Another benefit was the documentation of other’s work. There are numerous references (5 pages!) to scientific articles. I did not notice any cost to implement the recommended changes, and I am curious to know what adding the ventilation system might run. Overall the document is good. Industrial Hygiene in Construction is powered by	WordPress 5.1 and delivered to you in 0.405 seconds using 30 queries.